Lost or stolen laptops and desktop PCs cause data breaches and compliance problems. We give you full-disk encryption that protects your confidential data without slowing your users down. Transparently encrypts data on laptops, desktops and external media, protecting your users against unauthorized access, loss or theft of data. Get the industry-certified encryption that's already protecting millions. We keep your data safe from the moment anyone boots up your PCs. Our secure password and data recovery helps you and your users stay productive. Recovers broken operating system configurations on encrypted disks using the external boot option with Windows PE. Enables emergency data access and recovery-automated key reassignments allow secure and quick access to encrypted disks on other systems. Integrates with Lenovo Rescue and Recovery to securely recover encrypted operating systems and data. 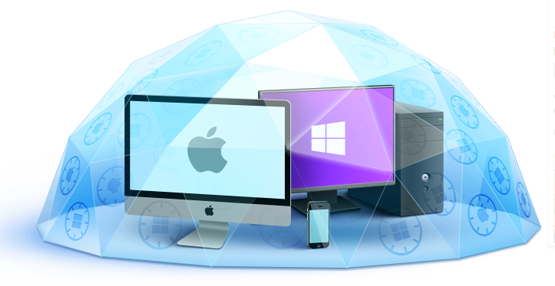 Use SafeGuard Management Center to install and manage device encryption across your entire network. Centralizes key management for data recovery and sharing. Easily imports user and computer information using Microsoft Active Directory. Automates administrative activities, such as patch management, with Secure Wake-On-LAN. Blocks or locks down devices that haven't recently talked to the Management Center, in case they might be lost or stolen. Lets you use Microsoft Standard Installation packages for central, unattended installation. Download the Sophos SafeGuard Device Encryption Data Sheet (PDF). *Price per device. Quantity must be 10 or greater. *Price per device. Quantity must be 25 or greater. *Price per device. Quantity must be 50 or greater. *Price per device. Quantity must be 100 or greater. *Price per device. Quantity must be 200 or greater. *Price per device. Quantity must be 500 or greater. Updates and Support Contracts (USC) includes:24/7/365 support, unlimited support cases and authorized contacts, software downloads, updates and maintenance, phone, email and web-based support channels, access to Support Knowledgebase, support forums and new subscriptions, basic incident handling.